The Westbrook Collection Uses The Swing Arm Concept On Chandeliers, Allowing The Diameter To Be Adjusted To Fit Your Decor. This Unique Feature Puts Light Where You Need It, When You Need It. 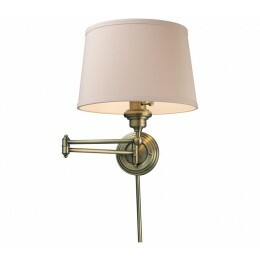 This Fixture Offers Versatility Coupled With A Sleek Design. 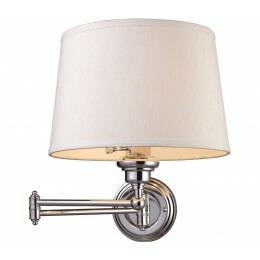 Available In Polished Chrome With A White Hardback Shade Or Antique Brass With A Cream Shade. 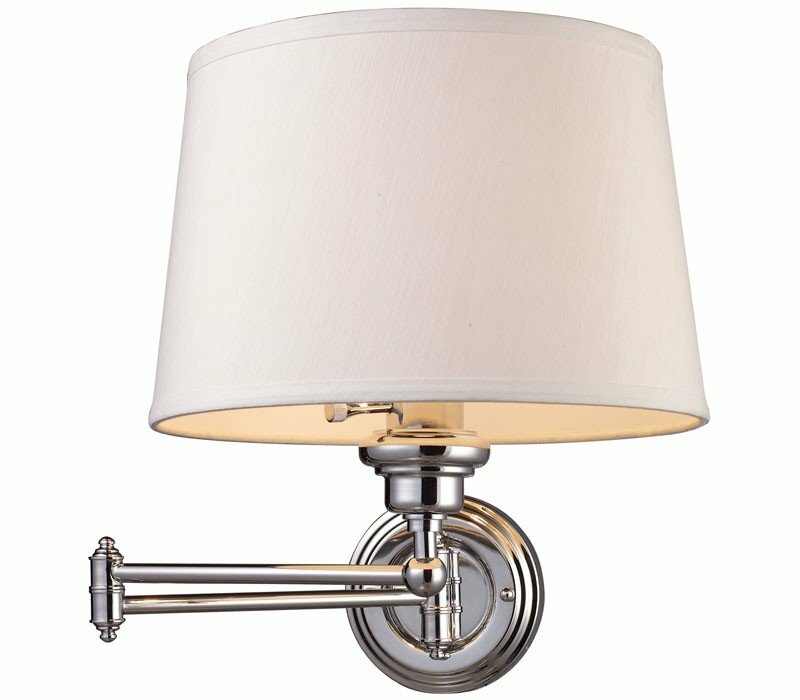 The ELK 11210/1 Westbrook collection Sconce Wall Lighting in Polished Chrome uses Incandescent light output and brings Decorative style. The total wattage is 150 and the voltage is 120 volts. The ELK Lighting 11210/1 requires 1 bulb (not included). Additional Information: Shade-White Linen Shade.